We went birding at Herrick's Cove in Bellows Falls, a great spot on the CT River and a designated IBA (important birding area). There were lots of birds - lots of sparrows, lots of warblers. Warblers in the fall migrate through the area in waves, going tree to tree in pursuit of a quick meal. 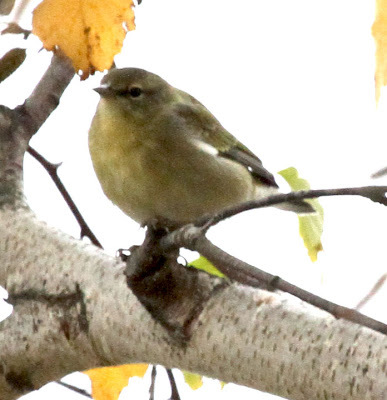 These groups are usually mixed with different varieties of warblers, vireos and other songbird migrants. I was pointing out the warblers and Gerry was taking pictures. When I first saw this one, I quickly dismissed it as a black-throated blue warbler. After Gerry downloaded the pictures and I went through them, I realized my mistake as the bird does not have the white eye-brow nor the white "handkerchief" on the wing of a black-throated blue! 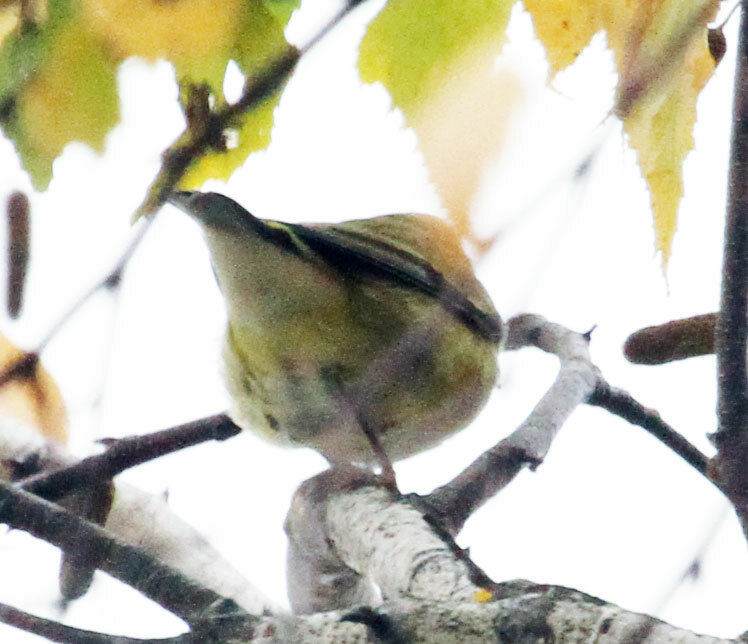 Ah, confusing fall warblers!! Gone are the bright breeding colors - we are left with warblers that appear bleached out. 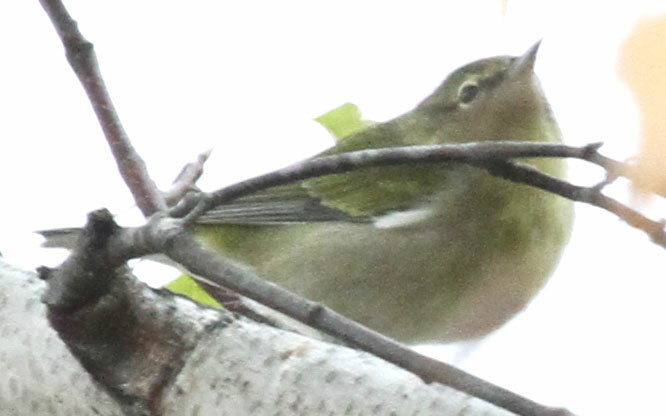 So what is this warbler? Maybe a Tennessee warbler? It does look like an orange-crowned warbler but the undertail coverts should be yellow and this bird's are white. Note the broken eye-ring, dark line through the eye, no wing bars, sharp pointed bill and the white patch under the wing. As soon as the experts figure this out, I'll let you know! If you have any guesses or comments, I'd love to hear them! !